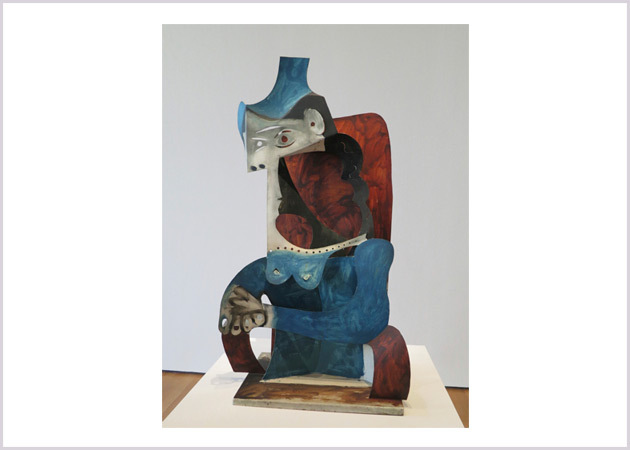 is in “Picasso Sculpture” at the Museum of Modern Art. 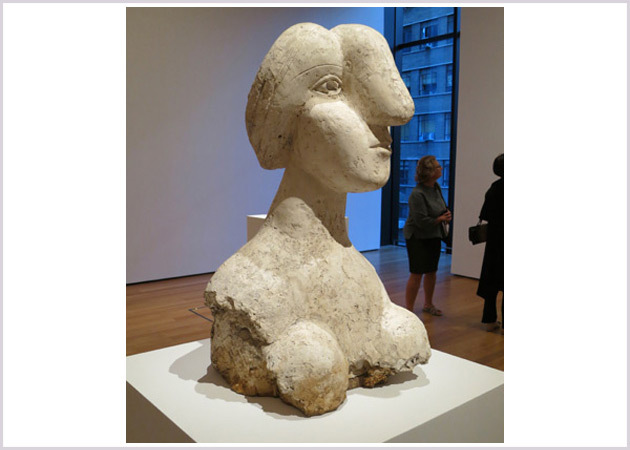 I recently spent a week in New York and managed to see the Picasso sculpture show at MoMA, twice…not enough. About 140 sculptures from 1902 to 1964 this is an amazing display of what is best about Picasso’s work…imagination, humor and risk taking. His capacity to reinterpret and recast his materials to evoke a world of his own invention is on display in every room. “Bust of a Woman” in the gallery Boisgeloup Sculpture Studio, 1930-32. Most of the pieces can be seen in the round making it clear that Picasso totally occupied each piece, there are no abandoned spaces. Whether he’s using sheets of metal, plastered cardboard, wood, bronze, clay, paper, and anything else he could throw at his wonderful assemblage pieces, you get how he never stops exploring and experimenting with fearlessness. I loved this show. Have you seen the show? What struck you as most surprising or interesting?